Welcome to Jr. High (Grades 6-8) at SMC! Worship Service, 9:30am - 10:30am. Youth have opportunities to be involved in our services through reading scripture, special music, being a part of the worship team, leading children's stories and drama. We strongly believe that the youth are a vital part of our congregation. â€‹Youth Center, 10:50am – 11:50am. Meeting weekly together for Sunday School allows deep connections to grow through Bible study, interactive teaching, and discussion as well as game time, prayer and snacks. Jr. Youth Group Time, 7:00pm - 8:00pm These gatherings promote strong friendship and biblical worldview through group activities, spiritual input, service projects and small group discussion. We also have a gym night once a month. See our upcoming events listed below and sign up to join us! Service projects, retreats, activities and hangouts – Our Jr High monthly events promote community service, cultural intelligence, and life-giving conversation. We endeavor to be a blessing to our local and our global community. Please contact Jr. High Youth Director: Jess McQuade at jmcquade@soudertonmennonite.org for more information or any questions. A Parental Consent Form needs to be on file for each student for the 2018/19 school year. 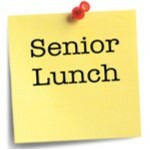 Come out and help us serve lunch to our wonderful SMC Senior Citizens! Sign up here to serve with a smile. Drop off at 6:30pm. Pick up at 8:30pm. Free event and friends are invited! Sign up by April 5 so we can reserve enough lanes for everyone.